Dan is on daycare duty, so you’re stuck with me, child-less Scott Allen, for at least one day. Try not to look too disappointed. The newsletter won’t be the same, and neither will lunch in the eighth-floor kitchen at WaPo HQ, which has recently featured our friend Dan devouring two unheated vegetarian hot dogs while staring blankly at Twitter on his phone. Hi, Dan. Miss you, Dan. 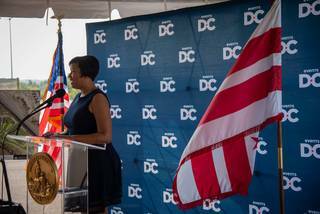 Were the OG Bogman in today and not at home teaching his 2-year-old how to read newsletter open rate reports, I’m confident he’d want you to check out what D.C. Mayor Muriel Bowser said at the Redskins’ “Welcome Home Luncheon” on Wednesday. 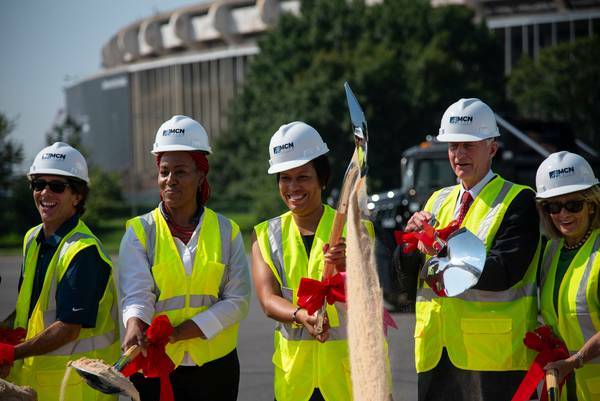 The name of the team’s annual event took on extra meaning this year, as Bowser, who earlier in the day helped break ground on a $489 million project to transform the parking lots surrounding RFK Stadium into multi-use fields, made a serious pitch to Redskins owner Daniel Snyder and Redskins President Bruce Allen to build the franchise’s next stadium on the RFK site. The team’s lease at FedEx Field, which was built up the hill from my old elementary school (shoutout to Matthew Henson Montessori and Ms. Cindy), expires in 2027. “Bring it home,” Bowser said during her remarks at the luncheon. “We think all of our professional sports teams should be in our city limits,” she said in an interview afterward. Meanwhile, up in Baltimore, the Redskins play their final preseason game against Robert Griffin III and the Ravens tonight. Adrian Peterson, who like me is on the wrong side of 32, won’t play, but Kevin Hogan will get an extended opportunity to convince the Redskins’ coaching staff that they should carry three quarterbacks. It’s hard not to root for Hogan, the McLean native and former Gonzaga standout, who lost his dad to cancer in December 2014 and was traded to the team he grew up rooting for in April. The Nationals’ modest winning streak is no more. 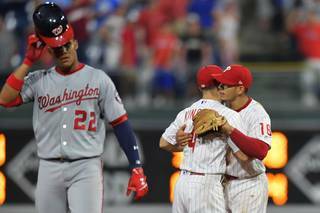 Carlos Santana’s fifth-inning grand slam off of Gio Gonzalez was the big blow, turning a 5-2 Washington lead into a 6-5 deficit en route to an 8-6 loss. The Braves lost, too, so Washington remains eight games back in the NL East race. The Nationals are off today before opening a 10-game homestand on Friday against the Brewers. Good news, relatively, for the Mystics, who got word that star forward Elena Delle Donne has a bone bruise, but no ligament damage after being injured in Game 2 of her team’s WNBA semifinal series against the Atlanta Dream on Tuesday. 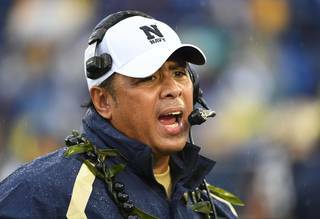 No college football team, except Hawaii, will travel more than the 26,496 miles Navy will rack up this season, none of them by aircraft carrier or fighter jet. 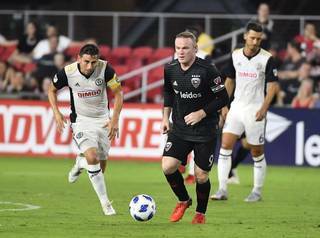 D.C. United’s home winning streak came to an end with a 2-0 loss to the Philadelphia Union at sweltering Audi Field. 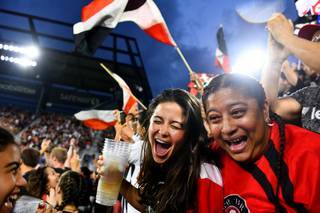 The Nationals played at Nats Park and D.C. United played at Audi Field on the same day for the first time on Aug. 19. Nationals outfielder Michael A. Taylor was at both games. Georgetown athletics marketing wizard Chris Grosse, the man behind such promotions as “Hail to Kale Night” and “Millennial Day,” is leaving the Hilltop for a new position at Penn State. Baseball players use a lot of cliches, one day at a time. D.C. mayor says team name no longer an issue, hopes deal can be reached similar to what city offered United. A trade brought Kevin Hogan home. Now he’s in a fight to make the Redskins’ roster. 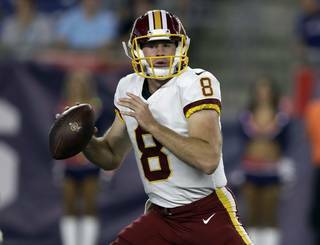 Four years after his father’s death, Kevin Hogan is back in the Washington area and hoping to make the final roster as the Redskins’ third-string quarterback. 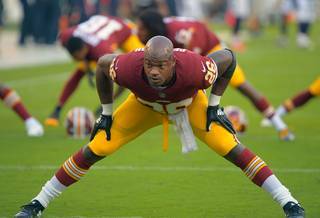 Redskins’ pedigreed running back is in phenomenal shape, but NFL running back is a young man’s profession. 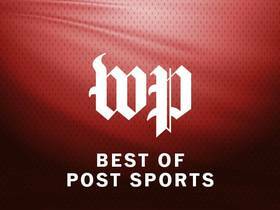 In Washington, baseball and soccer are now a short walk between different worlds. 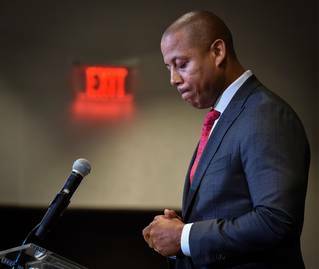 After taking over on a permanent basis this summer, Terps athletic director faces scrutiny for his oversight of football program. Nationals manager presses the wrong buttons in 8-6 loss as Bryce Harper sits with illness. 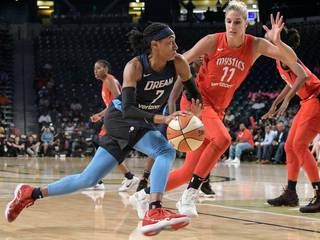 Washington Mystics star avoided worse news after a scary injury suffered Tuesday vs. the Atlanta Dream, but her coach said ‘there’s no guarantee she’s going to play’ Friday. For a team in desperate need of points, a second loss in 72 hours was especially damaging. Every aspect of the Midshipmen’s preparations for the season have been informed by the grueling schedule of six road games and two at neutral sites. Hand-picked sports features, profiles and columns — and the stories behind them — delivered every Saturday.